The District of Columbia, the capital of the United States, isn’t quite the affluent monolith you might think it is. Nearly 130,000 people, or about 13.3% of the population, live in poverty here. And while the median household income is $72,935, the cost of living is also quite high. According to a 2015 Washington Post story, in order to live “comfortably” in D.C., you’d need a household income of $108,092. As a result, there are plenty of Washingtonians who might be prime targets for predatory lenders. 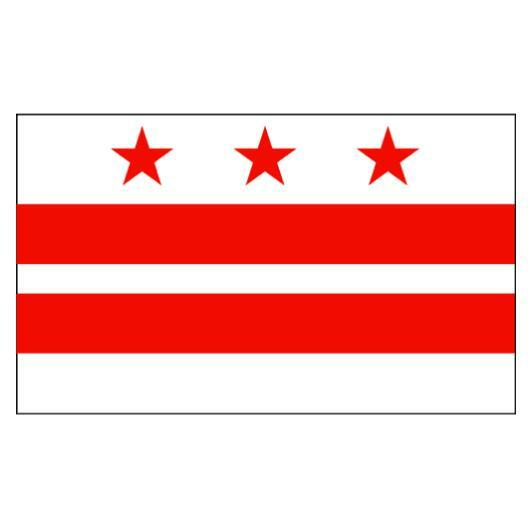 Thankfully, payday lending is prohibited in the District, as outlined in D.C. Code Ann. 28-3301(a) and 26-319. Average Credit Card Debt and Median Household Income in Washington D.C. vs. the U.S.
Payday Loans in Washington D.C.
For a payday loan, the borrower gives the lender a post-dated check for the amount of the loan and a fee in exchange for the cash. Either the borrower pays back the loan (including the fee) within 14 days, the check is cashed, or the borrower asks to roll over the loan for another 2 weeks and pays yet another fee. Because of this setup and potential for ongoing borrowing, payday loan borrowers can quickly find themselves in a never ending cycle of debt. Unlike their neighbors in Virginia or Delaware, Washingtonians don’t have to worry about finding themselves in this pattern, because of local regulations that prohibit check cashers from serving as payday lenders in D.C. The District also puts an interest rate cap of 24% on small loans. The History of Payday Loans in Washington D.C. Predatory payday lenders sprouted up in the mid-1990s, offering emergency cash to vulnerable Americans in need. In D.C., the post-dating of personal checks was prohibited as per the Check Cashing Act of 1998, but that didn’t prevent people from making deals with check-cashers to get emergency cash. But by 2007, this type of lending had become enough of a burden on consumers that the D.C. Legislature was forced to act. And so they did, with the Payday Loan Consumer Protection Amendment Act of 2007. This Act removed sections of the Check Cashing Act of 1998 that applied to payday lenders, limiting interest rates on all loans to 24%. D.C. residents may be tempted to cross over into Virginia to take out one of these risky payday loans. But the cost of doing so could be far more than just a simple, outrageous fee. You could end up trapped in a vicious cycle of debt. Title Loans in Washington D.C. Title loans are also meant to be short-term cash loans. But while the typical APR for a car title loan (300%) is lower than that of a payday loan (416%), title loans are typically much larger. For a title loan, the borrower puts up the title to their vehicle as collateral—which means that if you can’t pay back the loan in time, you can end up in a situation in which your options are to take out yet more high-interest loans and dig yourself ever deeper into debt, or potentially lose your vehicle. 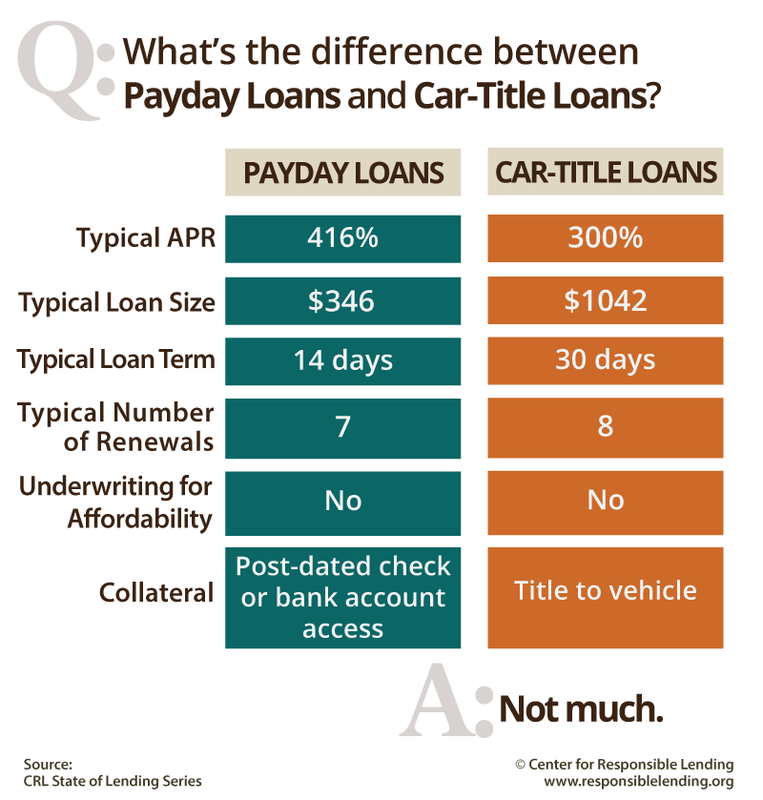 In D.C., title loans are prohibited by the same legislation as payday loans and are subject to the same interest rate cap in D.C. as payday loans: 24%. As we saw with payday loans, D.C. residents had finally gotten tired of being taken advantage of by predatory lenders in 2007, when the Payday Loan Consumer Protection Act of 2007 was passed. This has driven title lenders outside of the Capital’s borders, leaving them to try and lure cash-strapped Washingtonians over to their storefronts in Northern Virginia. Because of D.C.’s proximity to Virginia, it’s easy for Washingtonians in need of quick cash to take a quick drive across the Potomac to get a title loan. At least, it was… In 2009, the D.C. Attorney General won a lawsuit against a pair of title loan providers, which the then-Attorney General said deliberately recruited D.C. residents, promising them easy cash and delivering a nightmare of outrageous fees and car repossessions. For example, one of the affected title loan customers in the case had been expected to pay $2,318.23 on a $1,000 loan. However, due to the hard work and diligence of the D.C. Attorney General, she and many others were able to escape the title loan web. Regulating Payday and Title Loans in Washington D.C. It shouldn’t take years of legal battles to get back what predatory lenders have taken. The best way to avoid having to file a complaint to the D.C. Attorney General is not to take out a title loan in the first place. How to Report a Predatory Lender in D.C.
A predatory lender uses the desperation of cash-strapped consumers to their advantage. Often, the people who take out payday and title loans just need a quick bridge to pay their utility bills or make rent. They then find themselves paying far more than they initially borrowed because of the short repayment terms and high interest rates of the loan they thought would help them. If you live in D.C. and have been the victim of a predatory lender, you can get in touch with the District of Columbia’s Department of Insurance, Securities and Banking, or the Office of the Attorney General. These agencies are set up to help protect consumers. Before making your complaint, make sure you have documented as much of your experience as possible. That includes e-mails, financial documents, and even notes on phone calls you may have had with the lender. It’s not just legislation that protects consumers from these predatory lenders—that legislation needs to be enforced, even if the lenders preying on Washingtonians are attempting to circumvent D.C.’s laws by operating outside of the city limits. The D.C. Attorney General’s office has proven itself up to the task, going after predatory title lenders, in particular. That doesn’t mean Washingtonians can be complacent, however. Any attempt by these lenders to regain a foothold in the city should be fought, lest D.C. residents become vulnerable again to falling into their debt traps.